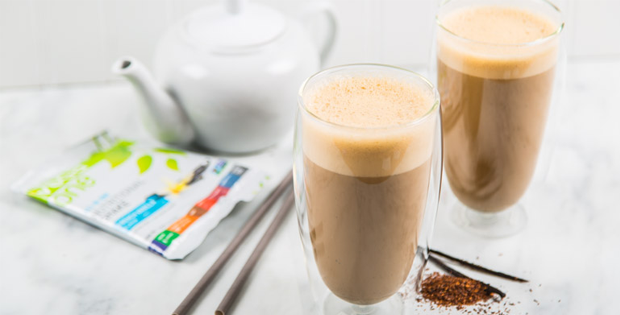 Whether you’re in the tea or coffee camp, chilled tea is a great way to switch up your smoothie routine. Use chilled tea as a base for any smoothie. If you make too much tea, save it for future smoothies by freezing in an ice cube tray. Here are our top eight tea smoothies for tea-rific inspiration. Why choose just one type of tea? 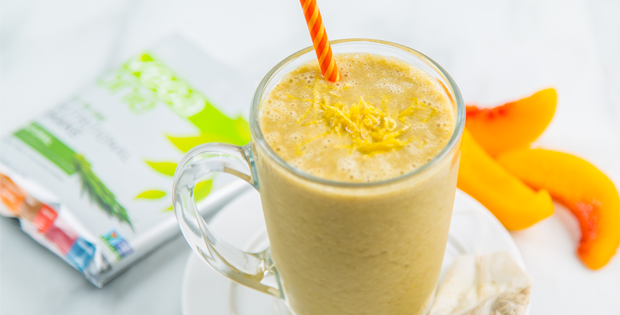 This smoothie by Chef Morgan combines two of our favorites: vanilla chai and green tea. Recipe contributor and food reporter Erin Ireland shares her go-to English tea smoothie that makes for a satisfying breakfast or afternoon tea time snack. 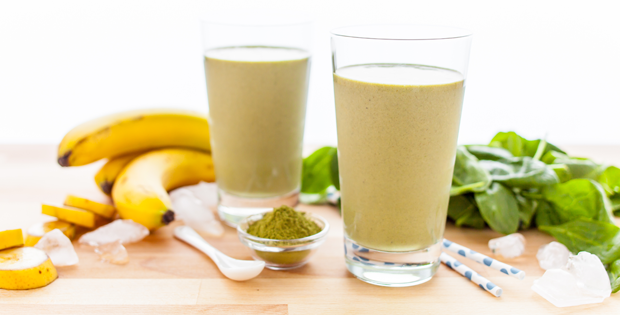 Powdered matcha tea is one of the fastest ways to get a concentrated earthy green tea taste in a smoothie, while adding a bit of caffeine. Try swapping this nutrient dense combo for your morning coffee! 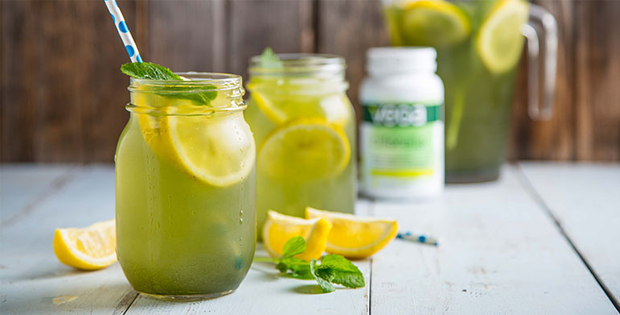 This smoothie packs a triple treat—Vega Maca, yerba maté tea and Vega One for energy to tackle anything on your to-do list. If your landlord or manager keeps the heat on too high during the winter months, cool down this lemonade. Add ice and blend for a refreshing icy treat. 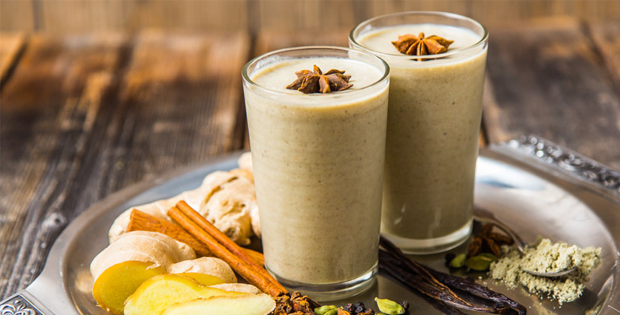 This smoothie gets the taste of chai tea without the higher caffeine levels thanks to Vega One Vanilla Chai and fresh ginger. 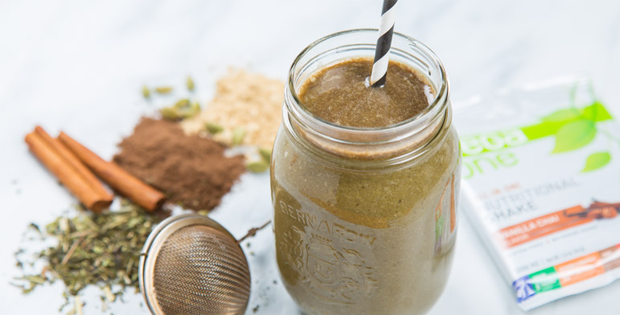 This warm tea smoothie is creamy, rich tasting, and yet oh-so nutrient dense. 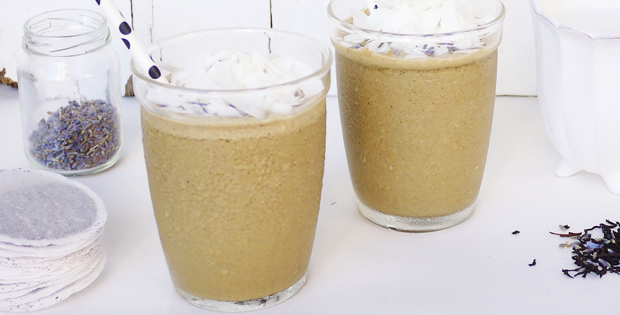 Vanilla bean adds a decadent flavour, and makes this drink feel like a luxurious treat. Chilled chamomile tea makes a fantastic base to a smoothie, and even though it has served well as a nighttime tummy-tamer, it’s also great for anytime of the day. Bonus Recipe: Lavender & Earl Grey Muffins Have you ever baked with tea? These gluten-free muffins have a light tea taste, plus an unexpected amount of protein thanks to the addition of Vega Sport Performance Protein. How do you use tea in smoothies?